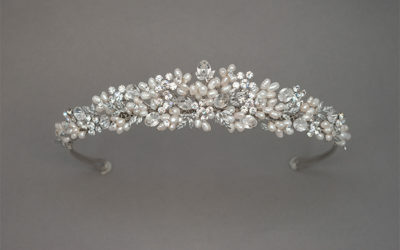 Eternity Headband versatile headband shown here as a perfect accent for a large loose bun. 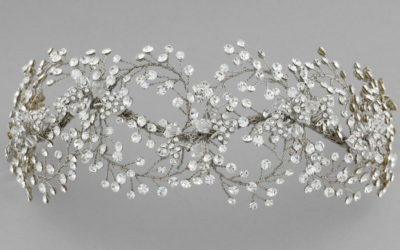 Our scalloped flexible popular band with pave leaves and crystals of 3 sizes - ultra glam! 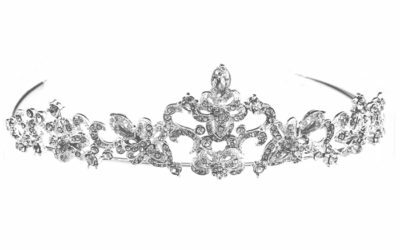 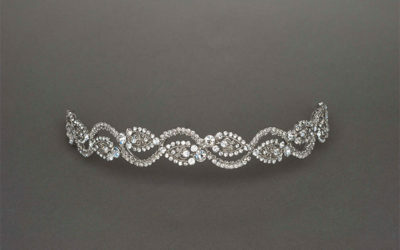 A royal tiara with gradual height and Princess cut crystals – perfect for a full dramatic upsweep. 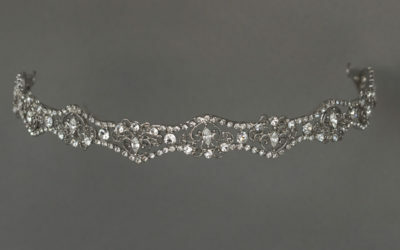 Small, yet elegant headband with paisley accents and embedded small crystals. 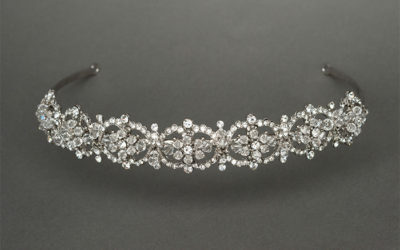 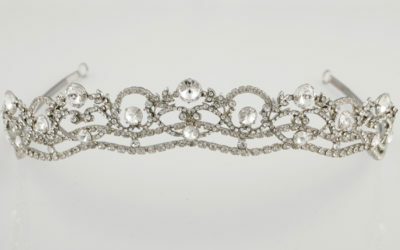 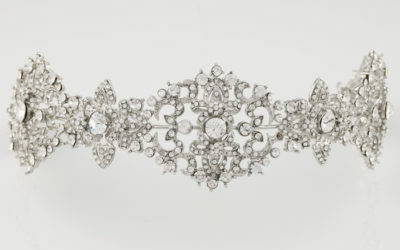 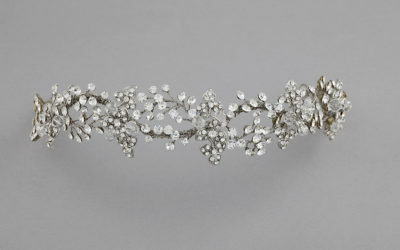 A traditional scrolled tiara topped with a pear shaped CZ crystal for extra dazzle. 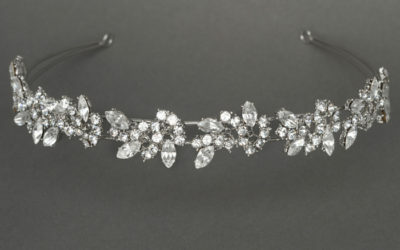 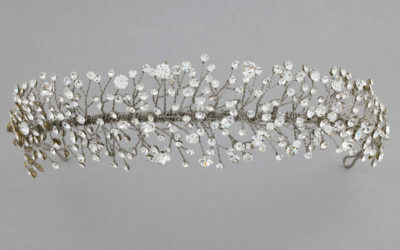 Grecian inspired headband with clusters of marquise and round crystals – also avail in Gold. 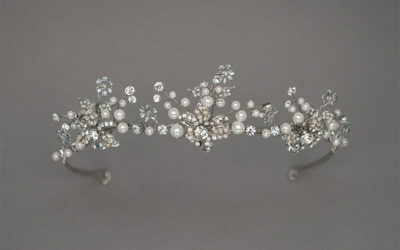 Medieval inspired scalloped headpiece with a combination of clear crystal and silver back crystal.